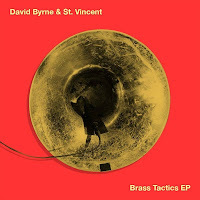 Tantalising follow-up EP to last year’s tasty Love this giant album from this pair, who trot out at the Electric Picnic Festival in Ireland this weekend. You might find a hint of Bjork’s Dancer in the Dark soundtrack in the austere, awe-inspiring brass tones and mechanical percussion (by John Congleton) of lead track ‘Cissus’. Although that’s the EP highpoint on track one, there are still enough bonkers flights of fancy and musical nuggets on the rest to blow the opposition out of the water. Including a couple of live tracks from their touring over the last year (one Talking Heads number ‘Road to nowhere’, one St Vincent, the marvellous ‘Marrow’) and a couple of remixes. Whatever this pair get up to, they can do no wrong in my book. 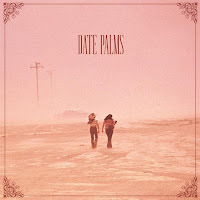 This album has the great feel of the desert off it, parched and shimmering. There’s also something ageless about it, a spanning of boundaries which feels really nourishing. Cosmic is about right. Every Thrill Jockey release is worthy of attention, this one perhaps more for those late night slumbering/narcotic times of life. An album released earlier in the year which has appropriately (given the artist involved) burned its way slowly into my consciousness. 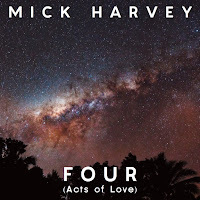 Mick Harvey is a name half-known to many people, here’s a good recap from a Pitchfork review recently. 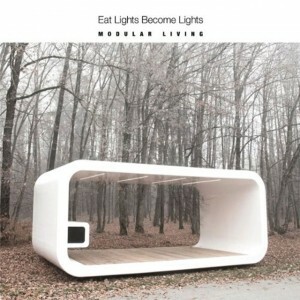 The project of Englishman Neil Rudd, Eat Lights Become Lights take various strands of Krautrock (motorik pulses, drones, some pastoral kosmische soundscapes too) and mould them into a gleaming vehicle for 21st century (mostly) instrumental pop. The album gets straight onto the autobahn with a thrilling opening, ‘Modular living’, full of sprightly mid range pulses and energising upper arpeggios (full drums help too), before gearing down for ‘MOD-ULO-510’, a steadfast, nodding rhythm full of comforting bleeps and synth rushes, more suited to a Sunday drive on a quiet side road perhaps. Back on to the main drag for ‘13th Looking South’, using a lovely motorised drone with twinkling side effects. Although the front of the album is loaded in motorik gear, there is still room for beautiful diversions into pastoral terrain midway through. As a way of signing off before the station's summer break at the end of last month, I decided to bust out some proper romantic music. For no particular reason, but I must say Valentine's Day does give me the pip - why should card companies dictate when we listen to songs about love. Plus I think pop music is the perfect vehicle for conveying the dizzy, transforming effects of being in love. So I’ve taken some of my favourite examples from across the decades, going through all kinds of genres including country, dream pop, soul, wall of sound – love songs work in all kinds of contexts. And by the way, the love songs in this list run the gamut from unrequited, to celebration of familial ties, to wide-eyed optimism, to hymns of praise to a loved one, to jilted interrogations, and of course amour physique (Serge & Jane). Just catching up on a bit of housekeeping after being away, including a couple of playlists from the end of July. This one is a round up of some of my favourite music of 2013 so far. I say some because an hour wouldn't come near to fitting all of it - I might look at a standalone podcast to cover the rest. Stay tuned. Anyway, what's in here. Well two "Cork" bands to start, O Emperor and The Altered Hours, that is two bands based in the city but originally from other places (an interesting feature of the Cork music scene at the moment that) who have both issued notable independent releases this year - an album and EP respectively - and are blazing a trail in front of them in terms of live shows. You'll find reviews/interviews/more info on the blog on both, in fact on all of the below. For now, I'll leave the rest for listening. Come end of year, I'll look at writing some words on each again. Enjoy. One of my favourite songs of last year was a thrillingly groovy piece of...well you might call it world music although there’s plenty more than just that involved, lead by a twin saxophone attack with furious percussion and a vaguely unhinged shrieking vocal. 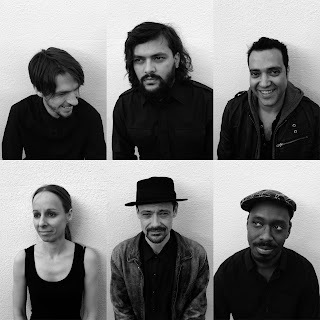 The band was Melt Yourself Down - a group featuring some well known names from other bands including Acoustic Ladyland, Zun Zun Egui and Rokia Traore – and their self-titled album came out in June on the ever wonderful Leaf label. The album takes the lead track’s dance music origins and raises them brilliantly via some reverb-drenched electronics, pounding backbeats and a series of memorable choruses, of which the first single is one of the best.